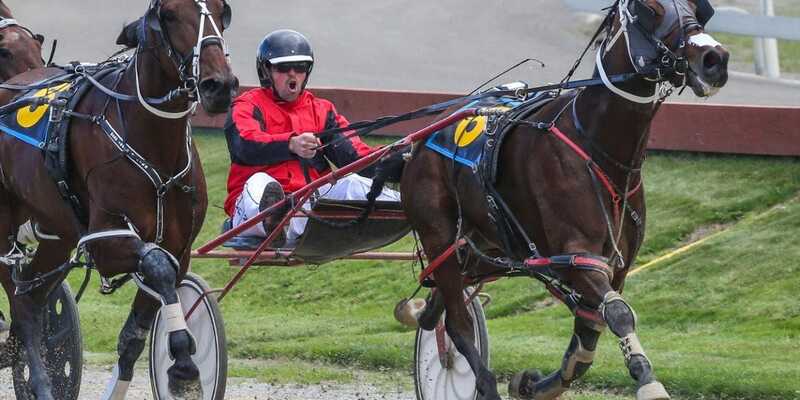 Joseph Gray drove Dreamy Damien to at Addington on Friday to score his first win in more than 10 years. Photo: Race Images. Canterbury reinsman Joseph Gray returned to the winner’s circle for the first time in over a decade when driving Dreamy Damien to victory at Addington on Friday. Gray was having just his fifth drive of the season, and first behind the Andrew Garters trained Dreamy Damien, when guiding the horse to a rating 40-49 victory. A race smash at the same track over a decade ago saw Gray give race driving away until recently. Though his name has not been up in lights, the horseman has still been heavily involved in the industry. “I have been working for the Garters the whole time, it is coming up about 17 years in total and 12 years straight,” he said. Some encouragement from Garters and a successful recent workout led to Gray teaming up with Dreamy Damian for the first time at the races on Friday. Gray showed plenty of talent as a junior driver, racking up 24 wins between 2003 and 2008. His last victory came behind the Garters trained Dontgobreakinmyheart at Reefton in 2008. The support of the Garters family means Gray could add more wins to his first victory as an open driver with Dreamy Damien, before the season is over. One of the horses Gray is looking forward to driving is Raining In My Heart, who is from a full sister to Dontgobreakinmyheart. Gray also holds his trainers licence and has lined up a small number of starters in the previous two racing seasons. He will be on the lookout for his first winner as a trainer soon.